When Panasonic hinted at what it was launching in the 35mm world last year, we were curious. Now the specs are revealed, and we’re genuinely excited. Compact cameras may well be having problems competing with smartphones at the moment, but advanced cameras with interchangeable lenses are certainly having their moment to shine. Not only is the area getting more cost-effective and compact, but the bigger cameras are genuinely getting more interesting overall. The area really gaining a lot of attention isn’t just cameras with interchangeable lenses, but those with interchangeable lenses and big sensors. As the technology changes, and interchangeable lens-based cameras can be made smaller and without the regular mirrorbox, it has given companies developing these sensors a chance to muscle in on territory older camera makers have more or less stayed away from. That would be older players like Canon and Nikon, which had both dabbled in mirrorless, but only in smaller consumer-friendly sensors, leaving their big sensors to even bigger cameras with mirrorboxes, and more or less letting Sony take that territory alone. But last year, both Canon and Nikon joined in, the former bringing the EOS R while the latter revealed the Z6 and Z7, three cameras that delivered a big 35mm full-frame sensor without the large camera design and large camera mirrorbox. That leaves Canon, Nikon, and Sony to fight out the category, but they won’t be the only ones. Last year, Panasonic revealed that it, too, would be joining the 35mm full-frame fight, teasing a new camera for 2019 back in September. And now we know everything, so what’s there to look forward to in Panasonic’s first full-frame mirrorless camera? Turns out the answer is “quite a lot”, with Panasonic packing the spec sheets with enoughto get the attention of photographers, videographers, and people who just love to show off. 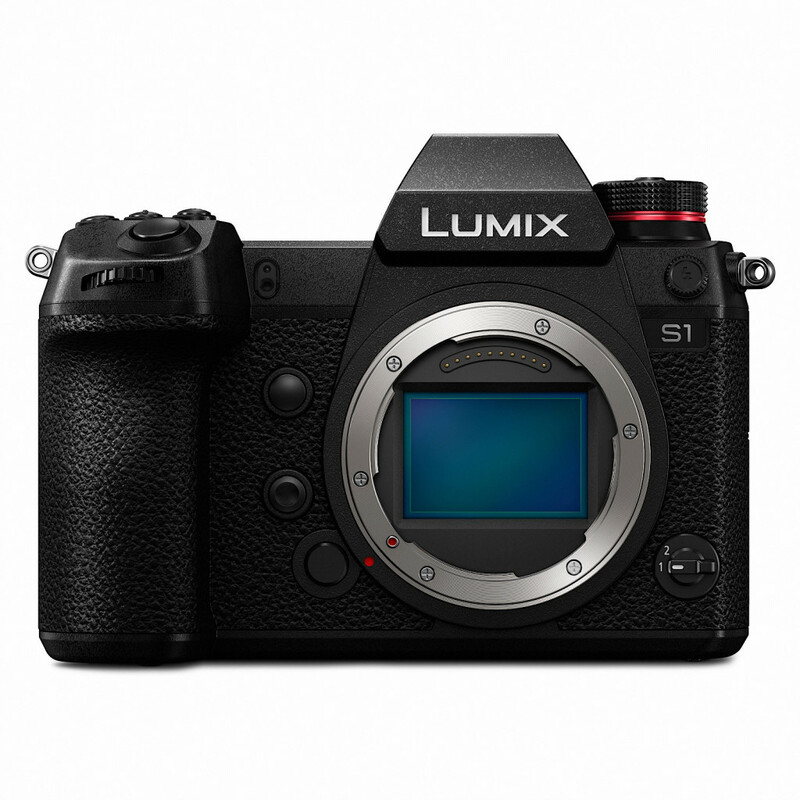 There will be two cameras released this year, as Panasonic unveiled the S1 and S1R, two similar cameras that look practically identical, but yet sport different full-frame mirrorless sensors. The biggest is in the Panasonic Lumix S1, a camera sporting a crazy 47.3 megapixel full-frame sensor with support for 4K video, as well. This one doesn’t appear to be made for low-light work, maxing out the ISO at 25600 and extendable to ISO 51200, suggesting it will be a daylight and studio camera. Those 47 megapixels already offer a staggering size to work with, but Panasonic appears keen to offer more, with a special “high resolution mode” on the Lumix S1 working similarly to Olympus’ technology by shifting the sensor slightly in capture. In the high resolution mode — which is made for landscape and products, specifically on subjects that you don’t expect will move much or any — Panasonic’s Lumix S1 will capture beyond its 47 megapixels, recording a 187 megapixel image in either JPEG or RAW, capturing a 16736×11168 pixel image. Absolute crazy town. The other camera won’t quite hit those sizes, but they won’t be bad, either. In fact, the sensor seems a little more advanced in other ways, particularly where darkness is concerned. Instead, Panasonic’s Lumix S1R will offer a 24.2 megapixel full-frame sensor with a 96 megapixel high resolution mode, delivering larger images overall. While that might seem like a less impressive sensor, the Panasonic S1R aims to impress on low-light photography, doing what its S1 sibling can’t do and taking pictures through the night. As such, the Panasonic Lumix S1R will support a standard low-light range up to ISO 51200, though extendable all the way to ISO 204800. High resolution imagery and low-light sensor specs aren’t all the Panasonic 35mm full-frame mirrorless cameras aim to wow with either, though, supporting 4K in various modes for video capture, two card slots (SD and XQD), support for the Hybrid Log Gamma (HLG) variation of HDR, and a new variation of Panasonic’s image stabilisation technology. Now in version two, Panasonic’s Dual IS uses five-axis internal stabilisations alongside lens stabilisation found in some lenses, supporting up to six stops of stabilisation and potentially allowing the camera to capture at lower shutter-speeds and higher apertures. There’s also fast autofocus, magnesium camera bodies, and some of the highest resolution OLED viewfinders and touchscreens on the back, the Live View Finder sporting 5,760K dots in a bright OLED, while the rear touchscreen is tilt able and shows 2,100K dots, making them both fairly sharp. Oh, and like some of the other mirrorless cameras we’re seeing of late, you can even charge Panasonic’s Lumix S1 and Lumix S1R using a USB Type C cable, because universal standards make the world a happier place. 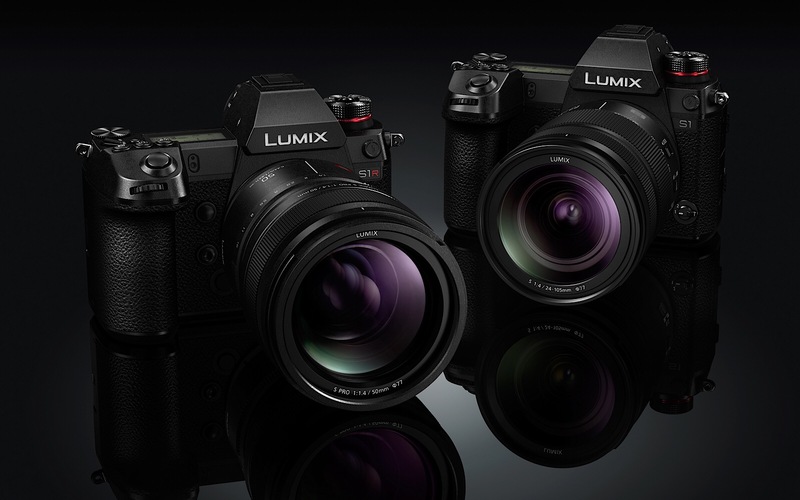 “The S Series brings acclaimed Lumix capabilities to full frame shooting,” said Scott Melli’s, Senior Product Marketing Manager for Imaging at Panasonic in Australia. “This brand new system takes Lumix deeper into the professional world, and will have strong appeal to wedding and event photographers as well as studio and commercial professionals, and in other photographic fields that value the highest image quality possible,” he said. There’s one other important factor here, and that’s the lenses. 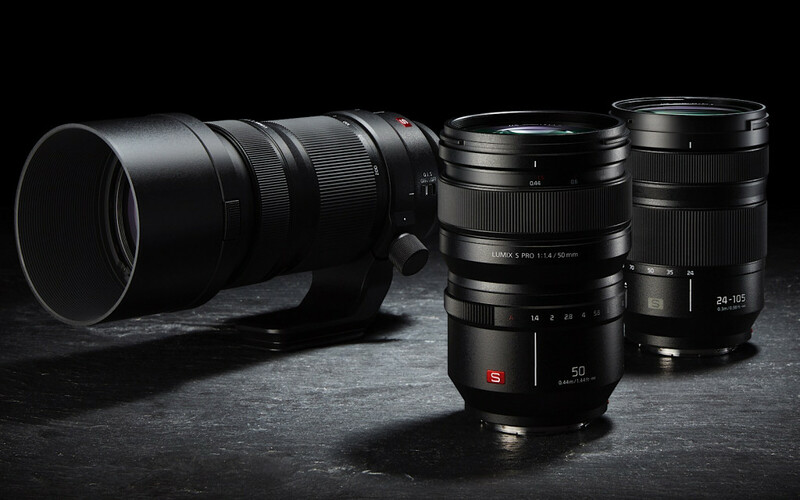 Unfortunately, Panasonic’s older Micro Four Third lenses are totally incompatible because of the size, so Panasonic has had to turn to a different lens format, working with the other brand it plays nicely with, Leica. 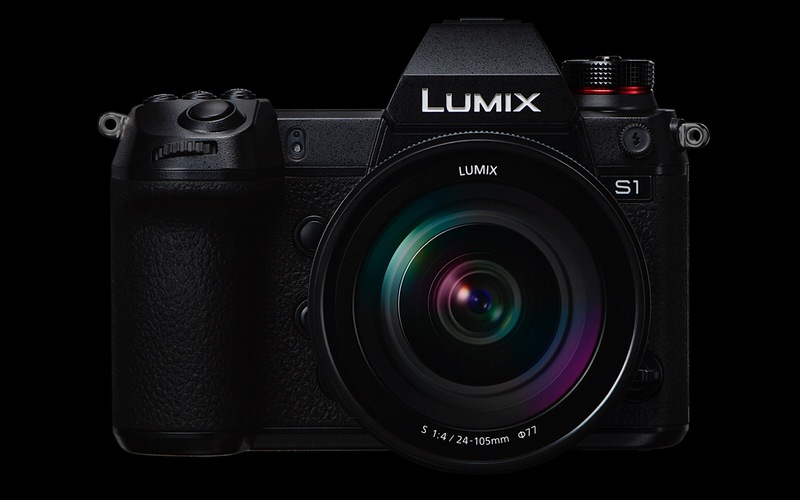 In fact, Panasonic has adopted the Leica L-Mount for its Lumix S1 and Lumix S1R cameras, supporting not just Leica’s L-Mount lenses, but those made by Sigma as well. Panasonic will be contributing a few of its own to start with, however, offering a 50mm F1.4, a 70-200mm F4, and a 24-105mm F4 (macro supported) at launch, found for $3599, $2499, and $1899 respectively. Panasonic promises more lenses by next year, with ten expected by 2020. Panasonic’s cameras also come with their own price tags, too, and Australia appears to be getting both. 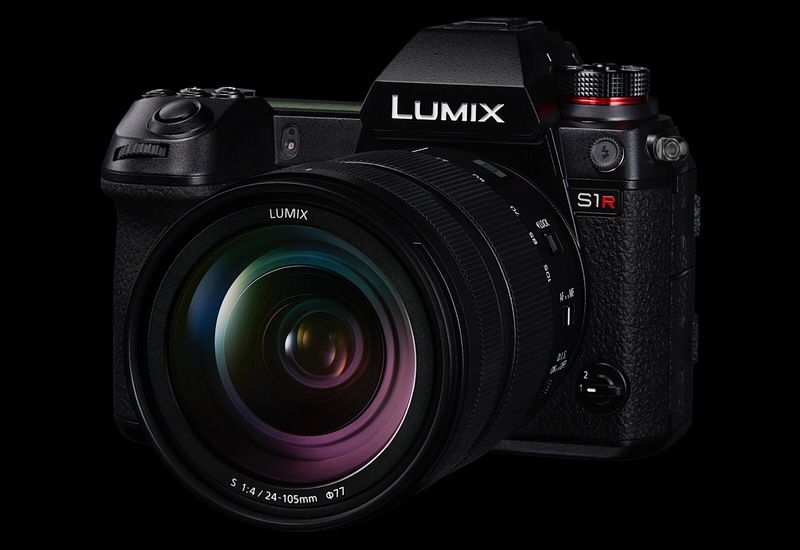 As such, you can expect the Lumix S1 available body only for $3599 or with the 24-105mm for $5199, while its S1R sibling will cost $5299 with that 24-105mm kit bringing the price tag up to $6899. Panasonic says April is when we can expect to see these cameras hit retail, where they’ll likely bring some very interesting competition to what is turning into a very interesting market segment.